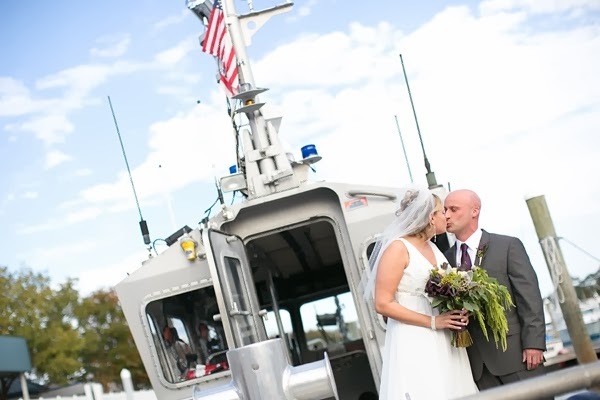 When you're in the U.S. Coast Guard, you've got some pretty awesome connections when it comes to incorporating a bit of your military life into your wedding day. 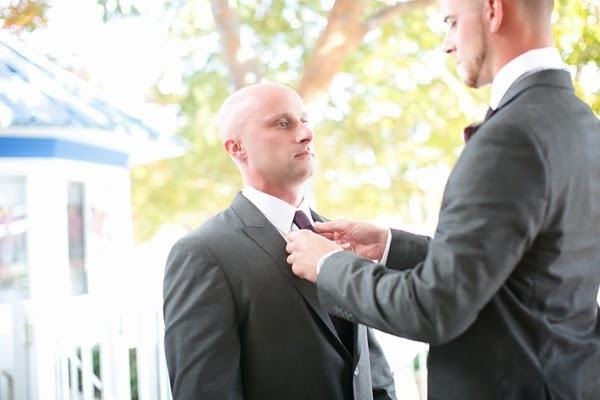 And that's just what PJ and Janet did. 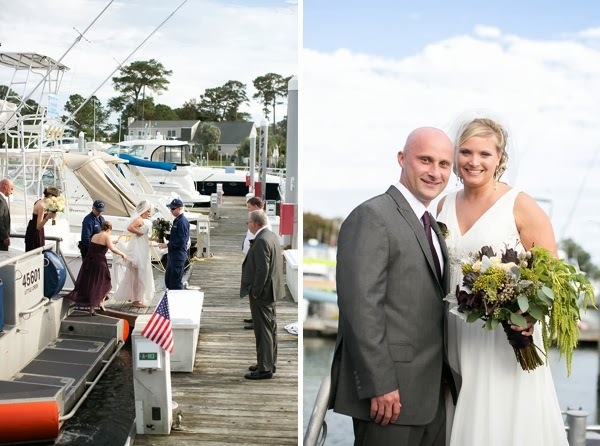 For their first look, PJ surprised his lovely bride when his Coast Guard boat floated into the Yacht Club at Marina Shores' marina and moored so they could tie in such a big part of their lives into their big day. 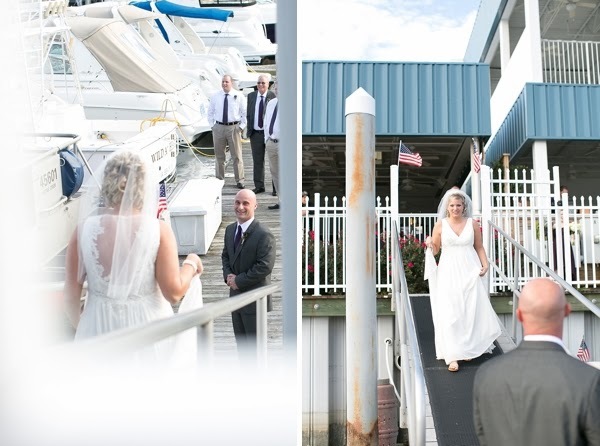 "When we did our first look, I walked down the dock to my husband who had his back turned... and when he was asked to turn around, the look on his face was just reassurance that I was marrying my best friend who loves me so much," Janet happily recollected. 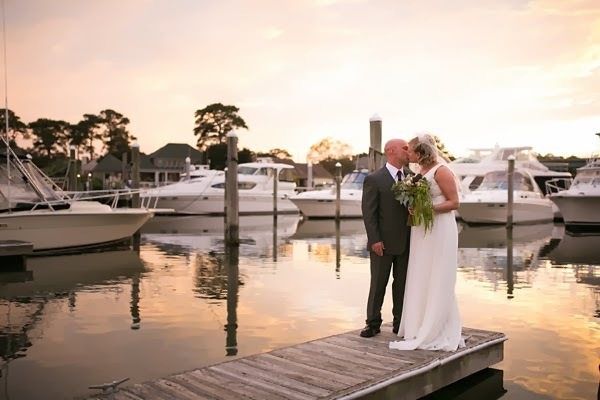 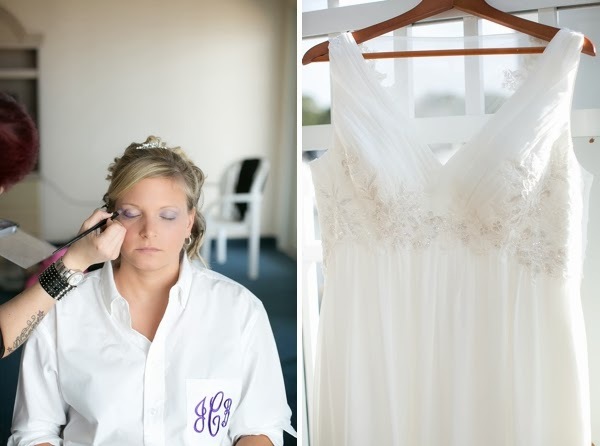 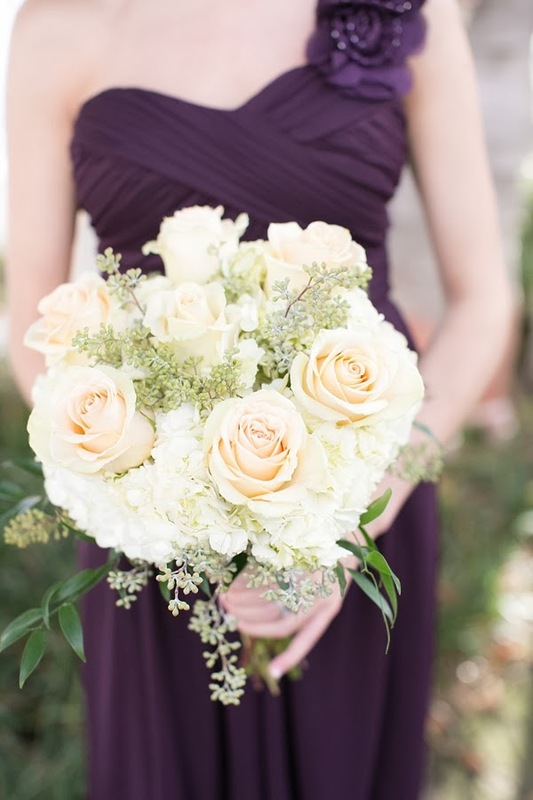 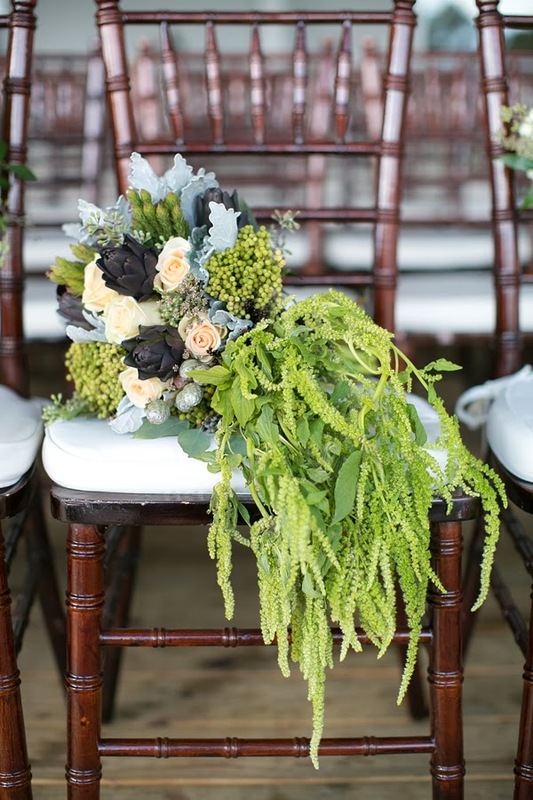 Documented by Lexi of Alexis Jones Photography, PJ and Janet were thrilled to be able to relive their Virginia Beach wedding all over again and affirmed that they could not have dreamt of a more perfect day. 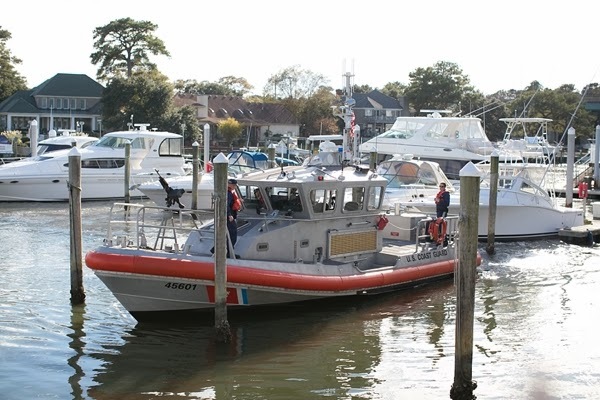 Epic boat visit and all.